We are specialised in producing a large assortment of Automatic Bottling Machines that are simple to control and obtainable in numerous capacities and specifications. Our variety filling machine with conveyors for liquids and semi-liquids. These are appropriate for drinking water, medical syrups, juice and industry. 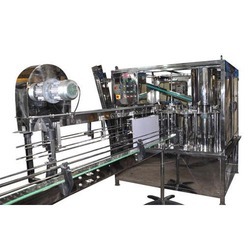 We are specialized in manufacturing a wide assortment of automatic bottling machine which are easy to operate and available in various capacities and specifications. Our range filling machine with conveyors for for liquids & semi-liquids. These are suitable for mineral water, medical syrups, juice and chemical industry. We are specialized in manufacturing a wide assortment of automatic bottling machine which are easy to operate and available in various capacities and specifications. Our range filling machine with conveyors for for liquids & semi-liquids. These are suitable for mineral water, medical syrups, juice and chemical industry. This 300 Bottles per hour Machine washes fills and caps 5 Gallon and 6 Gallon Bottles automatically. 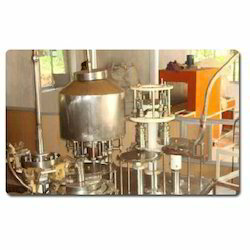 We also offer our clients with quality range of Bottle Crowner Machine. These are fabricated in accordance with the highest quality standards and are known for long service life. The machine has high speed and is capable of performing smooth crowning of bottle. Our range of bottle crowning machines is designed as per the client's specifications and can be avail from us at market leading prices.